New Disney•Pixar Cars 3 trailer "Rivalry", watch it first here! 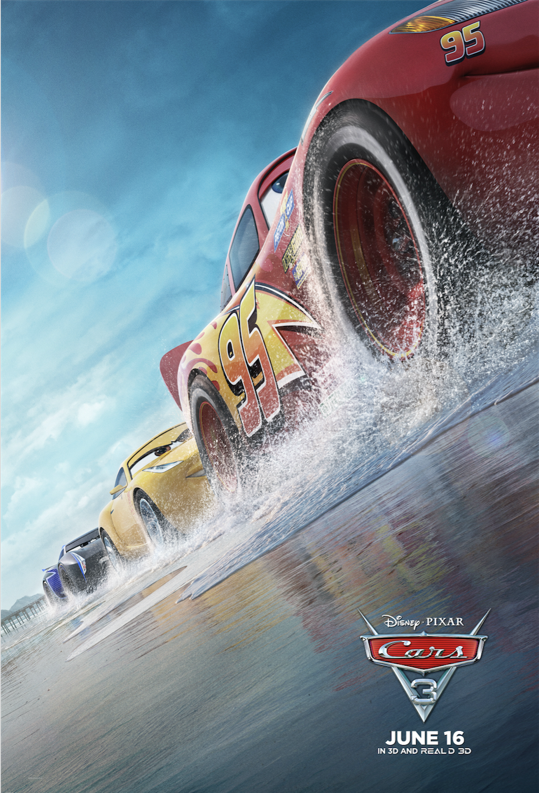 In just about a month, Disney•Pixar Cars 3 will be arriving to theaters, and while we wait, we have a new and exciting trailer to get your engines running! Check it out below, and let us know in a comment, who are you going to watch this movie with? Don't forget to follow to be up-to-date with the latest about Cars 3 and more. Co-producer: Andrea Warren (“LAVA” short), “Cars 3” cruises into theaters on June 16, 2017. So what do you think? Who is your favorite character for this franchise, and who in your family is super excited to see this film? Let us know and until next time, remember to smile, because it's contagious!